CM Pema Khandu during the launch of Arunachal Rising campaign at Ziro on Monday. Arunachal Pradesh chief minister Pema Khandu on Monday said that strict action would be taken against government officers who are found to be involved in the infamous Potin-Pangin and Joram-Koloriang Trans-Arunachal Highway (TAH) compensation scam. Kandu, who was addressing a public meeting after launching the second leg of Arunachal Rising campaign at Ziro in Lower Subansari district, said the first phase of Potin-Pangin road covering 40 kms has reports of excess compensation as per the evaluation carried out by the government and the names of people who have been paid the surplus amount will be put up in public domain for the public to see. “The special investigating cell of the state police has investigated the matter and registered a case. Strict actions will be taken on the government officials who are found to have misappropriated the compensation amount,” Khandu said. He further requested the beneficiaries to return the excess compensation amount to the state exchequer lest they should face action. The chief minister also appreciated the voluntary giving up of compensation money recently by several individuals and their assurance for zero compensation claims to facilitate speedy execution of highway works. 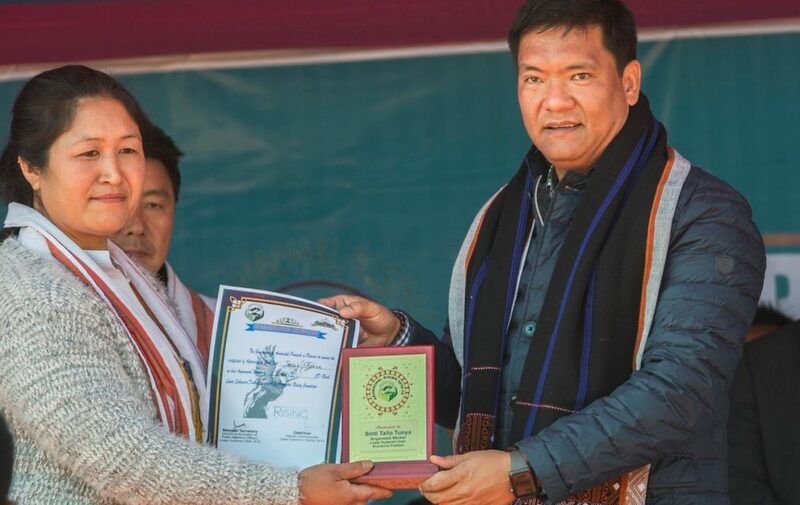 Khandu on the occasion also informed that the compensation has now been finalized for Joram-Koloriang under strict monitoring and evaluation and will be distributed to the beneficiaries accordingly. Further the chief minister said all works that were pending under the previous government have been completed under the NDA regime. He also informed that Prime Minister Narendra Modi would come to the state on February and besides laying the foundation stone for Hollongi Airport and Sela Tunnel, he would also inaugurate the 110 MW Pare Hydro Electric Project, Tezu Airport and launch-Arun Prabha, a 24×7 news channel.